Ghana National Health Insurance Scheme (NHIS) was established in 2003 as a major vehicle to achieve the country's commitment of Universal Health Coverage. The government has earmarked value-added tax to finance NHIS in addition to deduction from Social Security Trust (SSNIT) and premium payment. However, the scheme has been running under deficit since 2009 due to expansion of coverage, increase in service use, and surge in expenditure. Consequently, Ghana National Health Insurance Authority (NHIA) had to reduce investment fund, borrow loans and delay claims reimbursement to providers in order to fill the gap. This study aimed to provide policy recommendations on how to improve efficiency and financial sustainability of NHIS based on health sector expenditure and NHIS claims expenditure review. The analysis started with an overall health sector expenditure review, zoomed into NHIS claims expenditure in Volta region as a miniature for the scheme, and followed by identifictation of factors affecting level and efficiency of expenditure. This study is the first attempt to undertake systematic in-depth analysis of NHIS claims expenditure. Based on the study findings, it is recommended that NHIS establish a stronger expenditure control system in place for long-term sustainability. The majority of NHIS claims expenditure is for outpatient consultations, district hospitals and above, certain member groups (e.g., informal group, members with more than five visits in a year). These distribution patterns are closely related to NHIS design features that encourages expenditure surge. For example, year-round open registration boosted adverse selection during enrollment, essentially fee-for-service provider mechanisms incentivized oversupply but not better quality and cost-effectiveness, and zero patient cost-sharing by patients reduced prudence in seeking care and caused overuse. Moreover, NHIA is not equipped to control expenditure or monitor effect of cost-containment policies. The claims processing system is mostly manual and does not collect information on service delivery and results. No mechanisms exist to monitor and correct providers' abonormal behaviors, as well as engage NHIS members for and engaging members for information verification, case management and prevention. 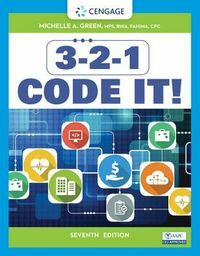 3 2 1 Code It!